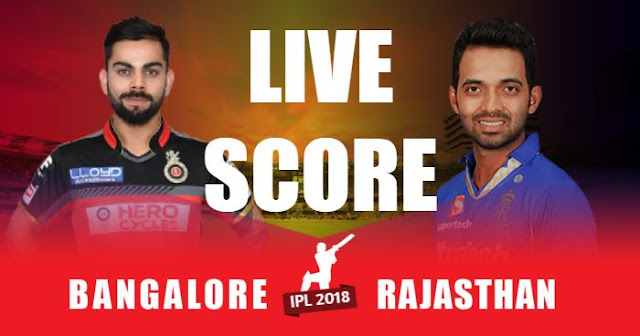 Toss: Rajasthan Royals won the toss and elected to bat first. 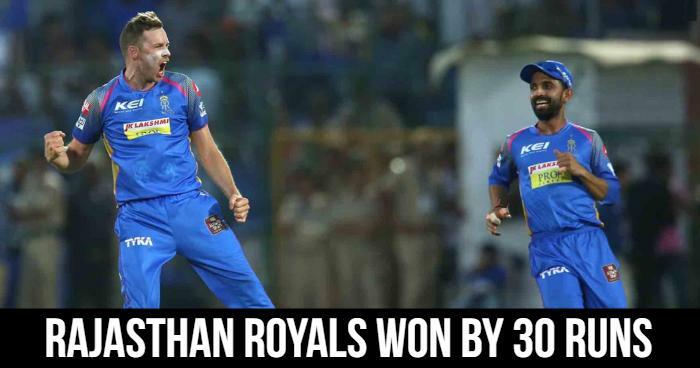 Result: Rajasthan Royals won by 30 runs. Playing XI for RR: Ajinkya Rahane(c), Rahul Tripathi, Sanju Samson, Heinrich Klassen (w), Ben Laughlin, Stuart Binny, Krishnappa Gowtham, Jaydev Unadkat, Jofra Archer, Shreyas Gopal, Ish Sodhi. 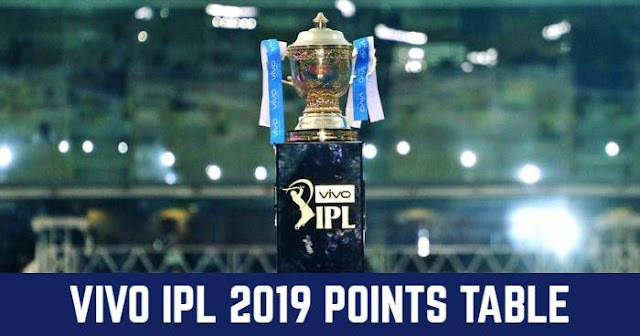 Playing XI for RCB: Parthiv Patel(w), Virat Kohli(c), Moeen Ali, Ab de Villiers, Mandeep Singh, Colin de Grandhomme, Sarfaraz Khan, Tim Southee, Umesh Yadav, Yuzvendra Chahal, Mohammed Siraj.